See in Glossary > Animator). See in Glossary by selecting ‘Create > Animator Controller’. By right-clicking in the Project View and selecting ‘Create > Animator Controller’. 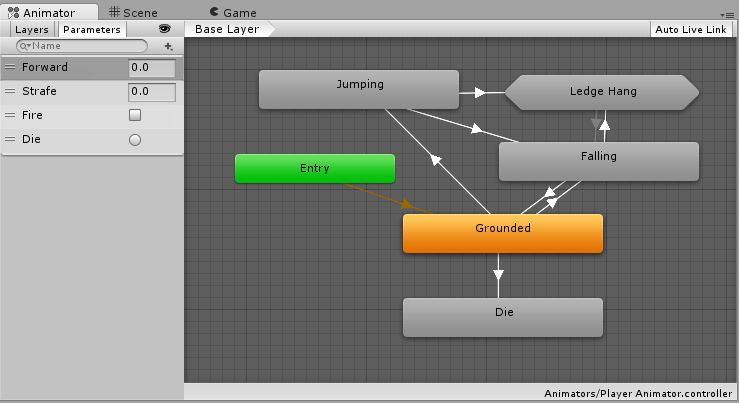 From the Assets menu by selecting ‘Assets > Create > Animator Controller’. See in Glossary in the Hierarchy View. The visualization of the State Machine itself. See in Glossary is currently loaded.